Today I realized two things NUMBER ONE - Exactly one year ago, I was walking down the Vegas Strip with a group of teachers laughing, dancing and having a great time. NUMBER TWO - I realized that I never blogged about it (insert shocked emoji here). 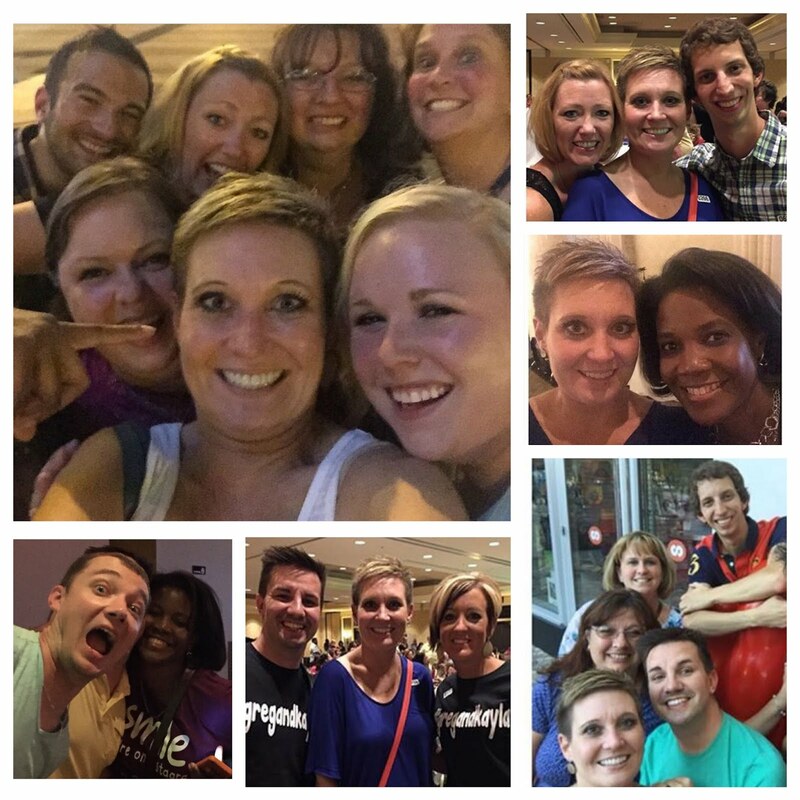 So for Flashback Friday, here are some of my pictures from #TPTVegas2015. 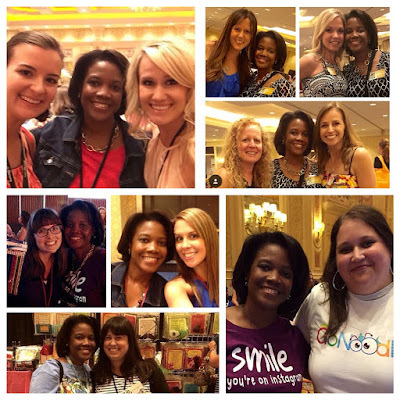 This was my second time going to the SDE conference and the first time that I attended the TPT conference, so I was in Las Vegas for a week. Thanks to a grant from Donors Choose, I was able to pay for half of the trip which was great because let me tell you, Vegas ain't cheap people. SIDENOTE ~ How cute is this shirt from A+ Images. 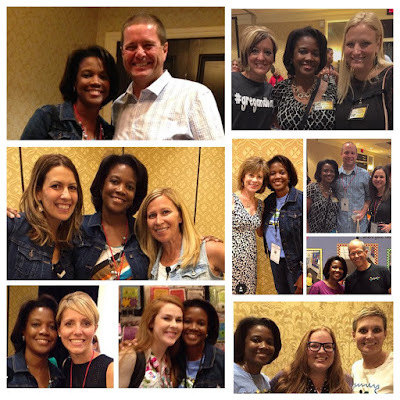 As much as I loved attending sessions where I got to learn from some of the best of the best, by far my favorite part of these conferences was getting to connect with some of the teachers that I have met over the years either through blogging or Instagram. 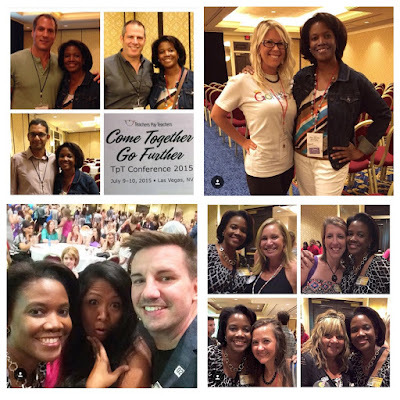 This year TPT will be hosting their annual conference in Orlando which is right in my backyard. I'm looking forward to listening to the keynote speakers because they are always motivating. 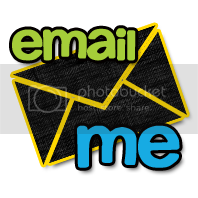 I've registered for some great sessions to help me with branding and expanding my TPT business. But what I'm really looking forward to is seeing my friends and connecting with people from around the country. Although it would be nice, chances are I will never build my TPT store up enough to be listed with the top 100 TPT sellers, and that's alright with me. 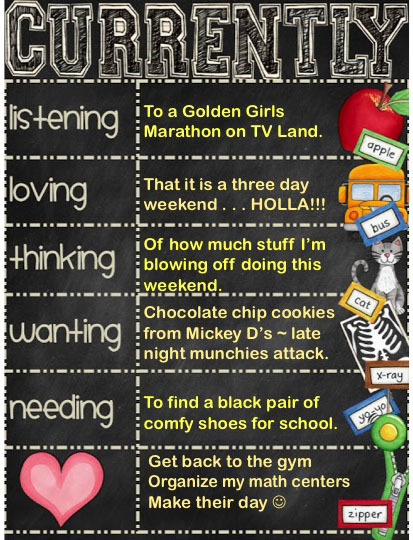 The connections that I've made through social media are what helps me to become a better teacher with happy students. In the long run that's all that really matters. 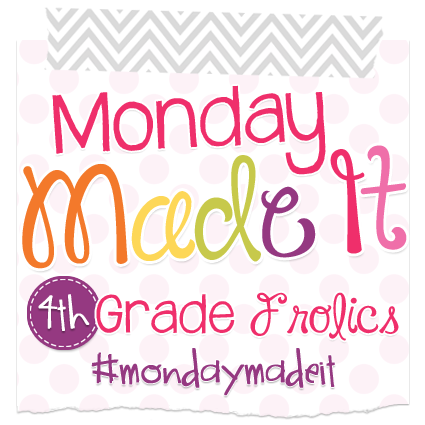 Today I am FINALLY linking up with the super sweet Tara from 4th Grade Frolics for her linky party Monday Made It. You know how there are some bloggers out there who are just full of nothing but teaching fabulosity, well that is how I feel about Reagan from Tunstall's Teaching Tidbits. 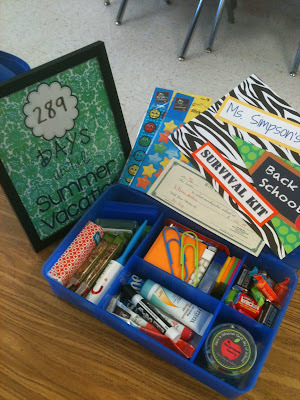 This weekend as soon as I saw this post on her blog I KNEW I had to have this for my classroom. 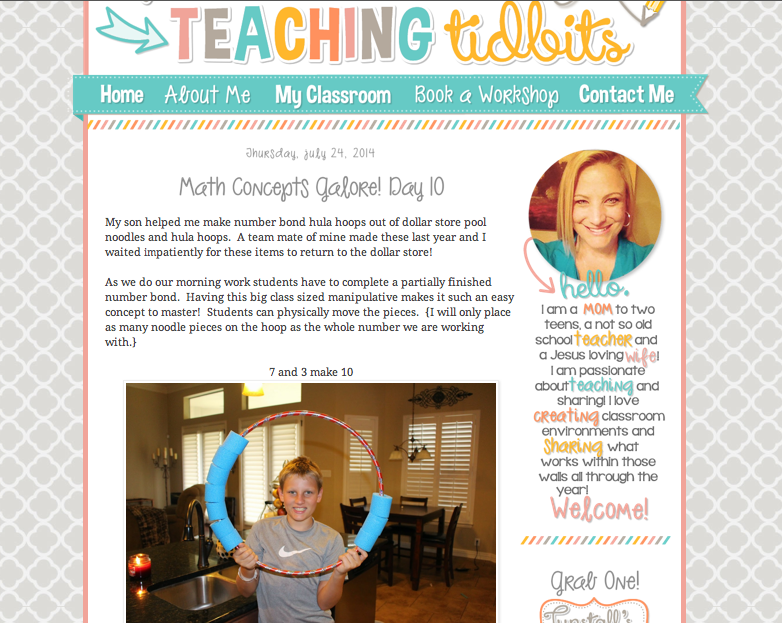 Her post is called Math Concepts Galore and it is full of some great ideas. If you want to read her post or see pictures of how cute her son is as he is making this GINOrmous number bond then click here. These are all of the supplies that I used to make my "GinoBond". Ginormous + Number Bond = GinoBond. 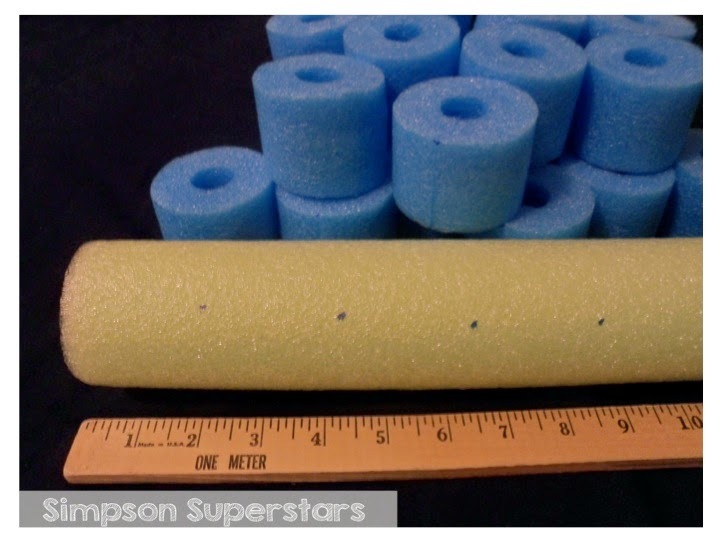 STEP 1: Mark off the pool noodle with a Sharpie. I cut my noodles every 2 inches so I was able to get 22 pieces from each noodle. 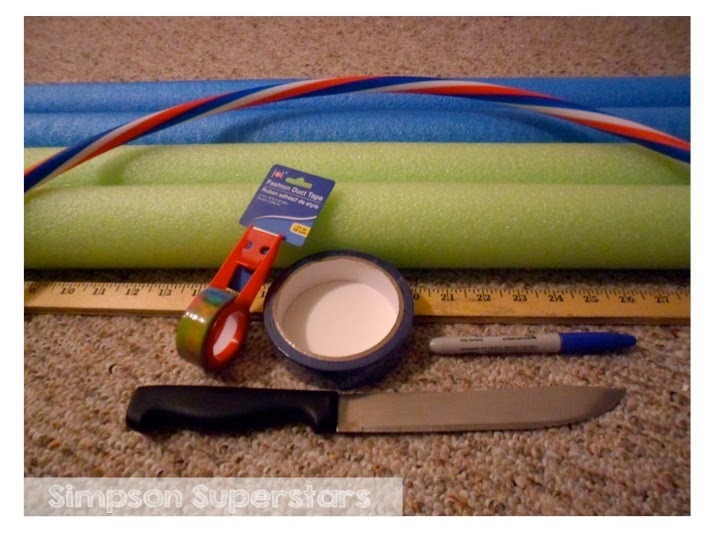 STEP 2: Use a knife to cut the pool noodle. TIP: I placed a piece of cardboard under my noodles as I was cutting them. STEP 3: Use the knife to cut a slit halfway through your noodle piece. 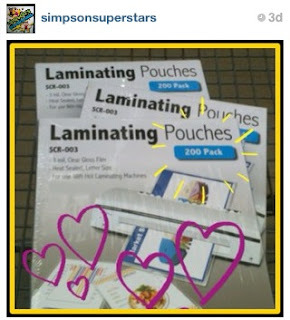 TIP: I cut where my blue dots were so that you wouldn't notice the dot that much (yes, I'm a little nutty like that). 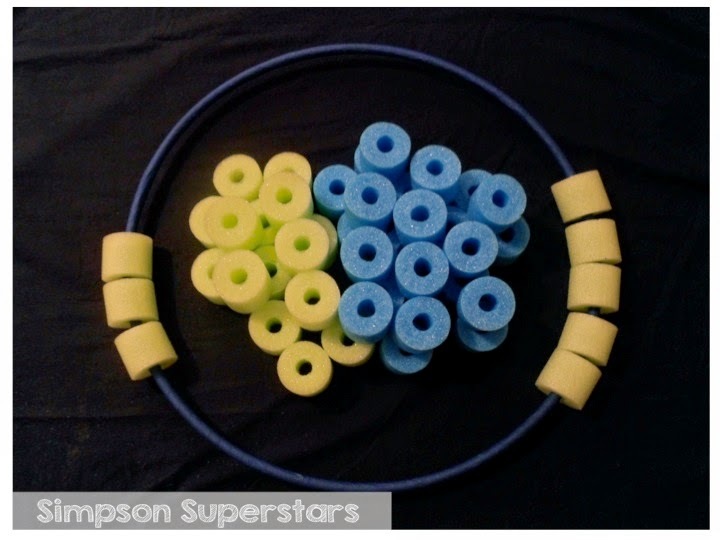 STEP 4: Now you are ready to slip your noodle pieces around the hula hoop to practice making the parts of whatever number you are working on with your class. Just a note: Remember my nutty comment from step 3??? Well . . . I didn't like the way that the hula hoop colors clashed with my noodle choices so I wrapped painters tape around my hula hoop but you don't have to do that. So there you have it a super simple way to work with your class on number bonds / fact families. Thanks Reagan for always making me look good in front of my kids. Well, I'm off to check out the other Monday Made It posts. So last summer I was GREEN with envy as I watched all of the pictures coming across my Instagram feed from all of the bloggers who were in Vegas at the I Teach K conference. I promised myself then that NO MATTER WHAT, I was going to be there and this year I did it. I'm not going to lie people. . . it was one of THE BEST decisions that I have made. It was AMAZING!!!! I met so many people, sat in on some great sessions and laughed and smiled all week long. Here are a few collages from my week. Vegas has tons of fun things to do but if you are a primary teacher DO NOT skip out on attending the sessions. I attended sessions on Reading, Math, Science and Technology. I have so many ideas to share with you guys so stay tuned. The exhibit hall is FILLED with so many great vendors who are all there to help make your teaching life easier. My favorite booth there were the GoNoodle crew. If you aren't noodling with your class you have no idea what you are missing. Seriously people, click here if you are looking for a way to work smarter not harder next year. One of the best parts about Vegas was connecting with some of the bloggers and Instagramers who I have been following for years. It was like my computer / phone came alive. Just walking around and BAM there they are smiling and just as happy to meet you as you are to meet them. . . it was great. At the meet-up that night the smile-fest continued. 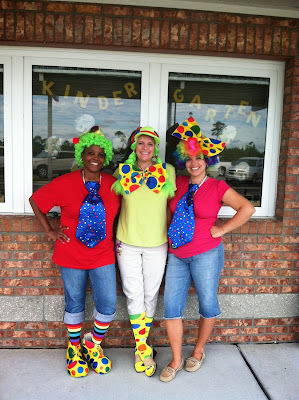 Do you see some of the teaching superstars that are in this picture. Everyone above has done something to help me in my teaching life so how can you help but be in awe of that??? The formula is pretty easy ~ Vegas + good friends = GREAT TIME. 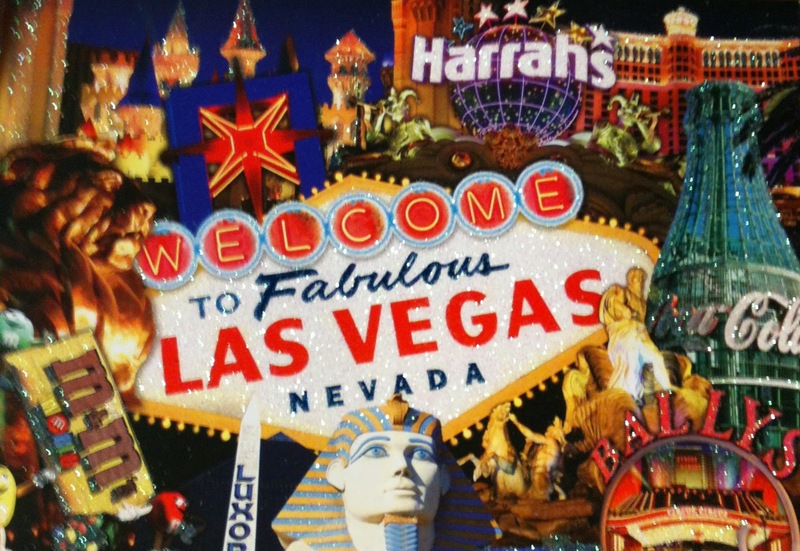 If you are on the fence about going to Vegas next year I will tell you the truth, it ain't cheap. I took some notes for myself to help me remember how to curb some costs for next year that I'll be sharing with you guys here on the blog. So yes, going to Vegas IS expensive (I mean $4.00 for a soda is kind of over the top) but the memories and friends that you will make from the experience are PRICELESS. 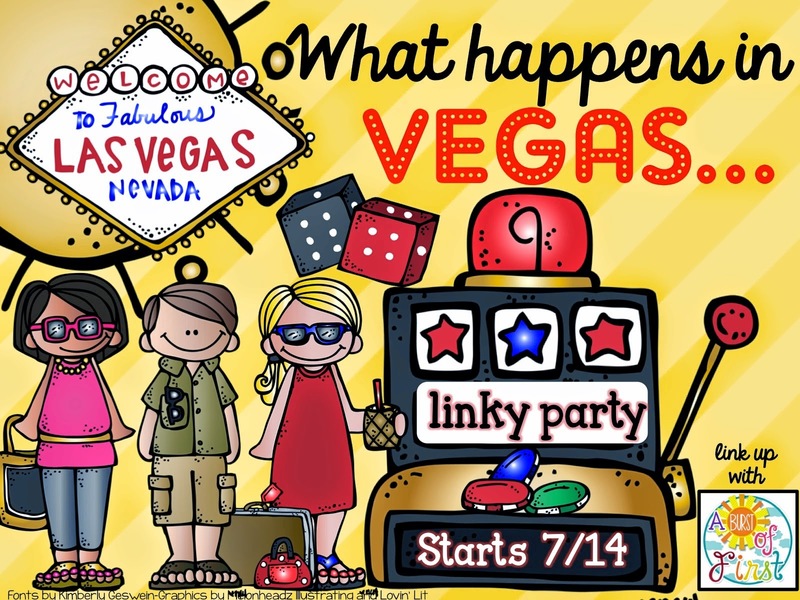 I'm joining the Vegas linky party with A Burst of First. 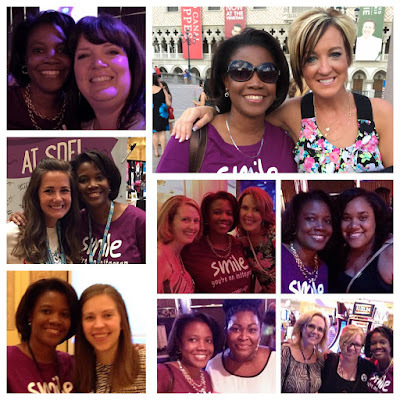 You know what they say ~ what happens in Vegas gets talked about on your blog so CLICK HERE to see all of the other 2014 Vegas posts. 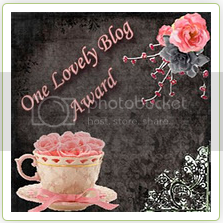 HELLO BLOGLAND do you remember me??? Today I am linking up with one of my favorite linky parties Five for Friday hosted by Kacey from Doodle Bugs Teaching. Since I haven't posted since December (yikes that's crazy) I'm going to put a little twist on my five pictures this week. So here are five things that make me happy this year. 1. QR codes ~ I learned how to make these last summer when I was teaching a summer workshop with one of my good friends and I have been obsessed ever since then. 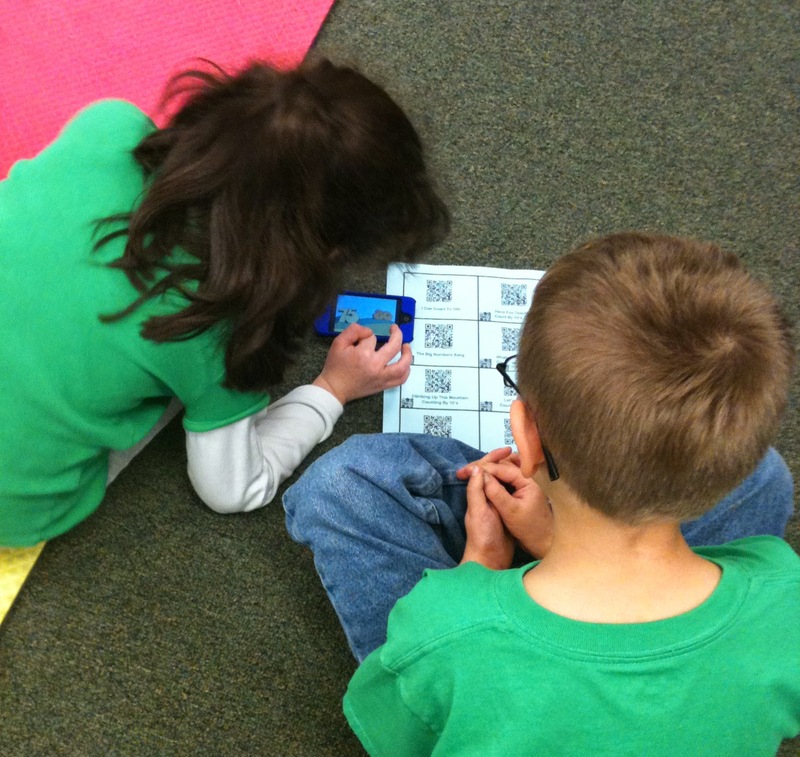 Whole group, small group, center time you name it and you can use a QR code with it. 2. Math Time ~ My kids this year are really good at math and I think it's because of the way I have incorporated morning math meeting and math partners into my math block. 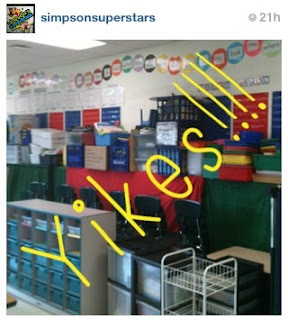 Total sidenote thanks to instagram for introducing me to the blue plates in the picture. . . they are perfect dry erase boards. 3. Teamwork ~ Every year I work REALLY hard at the beginning of the year to create a classroom environment that is supportive, nurturing and caring. This hard work at the beginning has really paid off with my class this year. They are so great at working together and it really helps to make my job easier. 4. Parental Support ~ For safety reasons this year our school changed our arrival and dismissal procedures so I don't get a chance to interact one-on-one with my parents as much as I have in the past but let me tell you they are there supporting me. Backpacks, folders, homework assignments, book bags, forms, permission slips, box tops all for the most part, get returned when they are suppose to be. I teach at a Title One school so I try not to ask for too much from my parents but when I do this is what I get, over 200 pre-filled eggs for our Easter egg math activity. . . see what I mean, they ROCK!!! 5. 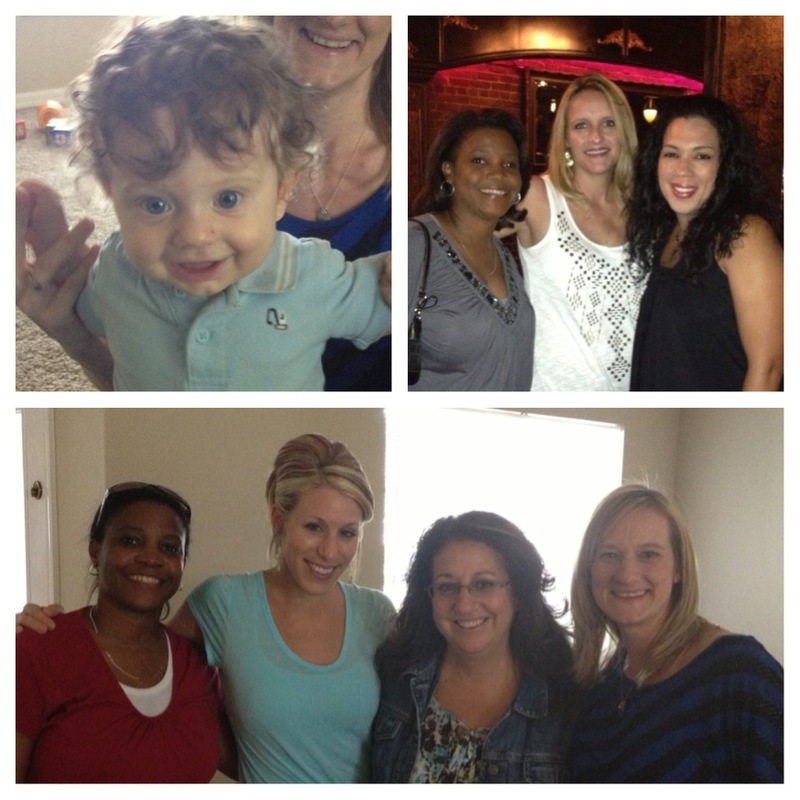 My Friends ~ I cannot say enough about the friends that I have in my life. Here are just some of the people who have helped me keep my sanity over the years. One of my favorite quotes is from Oprah where she says to "Surround yourself only with people who are going to lift you higher." I am blessed to have so many of these types of friends in my life. So there you have it, five things that make me happy. I plan on doing some blog posts specifically on some of these things so stay tuned. Well I'm off to check my Instagram feed. I'M BACK . . .
WOW. . . seriously, my last blog post started out with the sentence "Happy Labor Day!!!" I can't believe that it has been that long since I've posted. I know that things have been crazy busy for me since school started but Labor Day. . . REALLY??!! 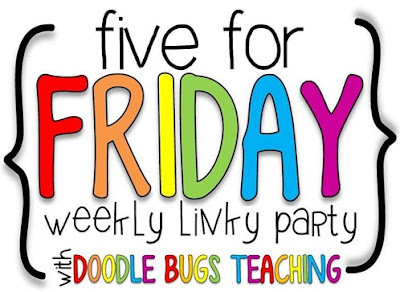 Well it is definitely time for me to get back in the swing of things and what better way to jump back into blogging than by linking up with the super sweet Kacey from Doodle Bugs Teaching for her Five for Friday linky party. Since I've been MIA I'm going to double the pleasure double the fun by posting 10 pictures. As always I'm going to rock this party the way Michelle would. . . I'm gonna roll these pictures out ~ hashtag style. So there you have it, some pictures to catch you up on my year. 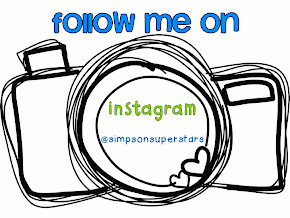 If you would like to see what I am up to daily then be sure to follow me on Instagram by clicking here. Well I'm off to start planning for December. Be sure to check back soon for some great Ginchy ideas. Happy Labor Day!!! Today I am taking a little break from my Instagram feed to link up with the one and only Farley for one of my all time favorite linky parties. . . it's Currently time people. This month be sure to take a few minutes to read about the sponsor. She seems really nice and I bet if you follow her on Instagram you will get some great ideas for your classroom. I heard from a reliable source that the September sponsor is going to be posting some really cool new items to her TPT store this month so you might want to follow her store by clicking here. Oh and did I mention she is a pinner too?? If you want some great ideas or want to see an entire board dedicated to potato recipes you can follow her by clicking here. Alright, alright enough with the self-promotion, it's time to see what I am currently up to. I love the idea of setting some goals just for September. Here is what I want to ACCOMPLISH (my OLW click here to read previous post) during this month. 1. Get back in the gym and eat healthier. 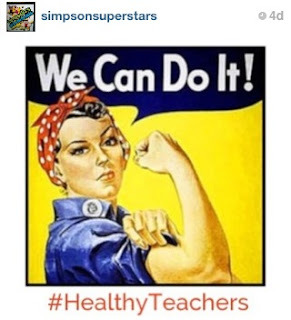 If this is your goal too be sure to tag your pictures on IG with #HealthyTeachers so we can motivate each other. 2. I can't find anything right now and it's driving me crazy!!! 3. One of my former principals taught me about the Fish Philosophy years ago. This month I want to really focus on making their day. A simple compliment, word of encouragement or smile to a student might be all they need to make their day and remind them that they are loved. . . I need to keep that in mind this month. So there you have it my life in a nutshell. 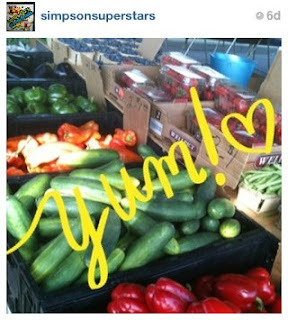 Well I'm off to bed right after I check my Instagram feed one more time. 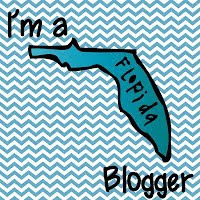 I know, I know, I know I have been living in the land of summer vacation people and my poor little blog has been sooooooo sadly neglected but I am back. Now that summer is coming to an end it's time for me to say THANK YOU. Thank you blogland and the magical word of Instagram for all of the great ideas for my classroom. I am so grateful for all of the great new connections that I've made this summer. To show my appreciation, it's time for my second annual. . .
For this giveaway, YOU get to pick your prize. 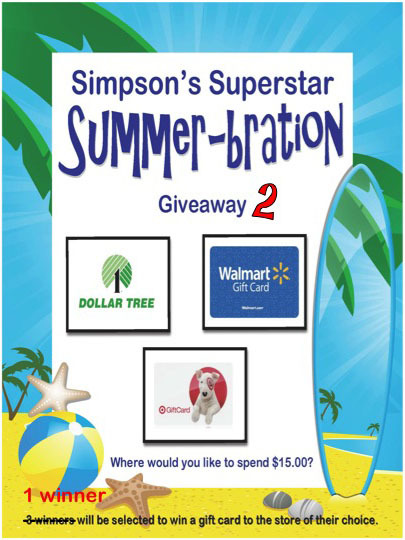 I will be using Rafflecopter to select one lucky winner who will get a $15.00 gift card to one of the stores listed. The giveaway ends at midnight on Thursday, August 8th ~ good luck. Now that I'm back it's time for me to link up with two of my favorite linky parties. Today the super sweet Kacey from Doodle Bugs Teaching is back with her weekly linky Five for Friday. Once again I am going to rock this party the way Michelle always does. . . I'm gonna roll these pictures out ~ hashtag style. I am also linking up today with the one and only Farley for her Currently linky party. Here is what I was currently up to last night before I fell asleep on the couch with my laptop literally ON my lap. 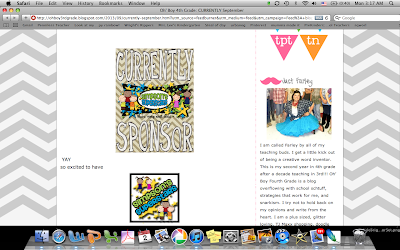 I love that Farley sponsors this linky every month. Currently in a cool way has become a journal for my life each month. When I went back and read my post from last year (click here) it was neat to see what I was up to 364 days ago. If you haven't looked back at your Currently posts in awhile, take a minute to do so. # 1 I have said it before and I will say it again, my friends are the best. My life sometimes can be a hot mess of nonsense and I am so incredible lucky to have such a great support system surrounding me. # 2 See picture above ~ Thank you Sam's. # 3 Comfy shoes has not been checked off the list for this year yet but they are an essential for me especially for the first few weeks of school since my feet go into withdrawal from not being able to wear my Nike flip flops. So there you have it, a brief look into my life. Well I'm off to pretend like I am getting work done for school but I'll probably just procrastinate a little bit more. Color By Numbers for Break Apart Addends as Tens and Ones For Your Classroom Fun!